Use the table below to search for departments, sub-departments, faculties, sub-faculties, institutes, centres and other units at NUAE( in alphabetical order). Accounting - Finance Department acts as a counselor and help the Rector to organize and manage financial issues of the University. Equipment Administration Departmentacts as a counselor and helps the Rector to organize and manage investment and construction tasks, manage material facilities, equipments, health tasks and environmental sanitation of the University. General & Personnel Department functions as a counselor and helps the Rector to organize and manage missions of: Personnel organization, administration, general affairs, inspection and internal politics security. Institute of Art Education functions as a counselor and helps the Rector to organize and manage postgraduate and continuing training program of the University.. Political - Student Affairs Department acts as a counselor and helps the Rector to organize and manage political activities of cadres and students; carry out task of student management under the regulations of student's tasks of Department of Education and Training. Department of technological science & international relations works as a counselor and helps the Rector to organize and manage activities of scientific research, technological transfer and scientific information of the university. Testing Department functions as a counselor and helps the Rector to organize and manage testing issues of the University. Training Department functions as a counselor and helps the Rector to organize and manage undergraduate training programs of the University..
NUAE seeks to attract the best and brightest students, no matter where they are from. Here are some of faculties that you might like to know. NUAE has a nation-class reputation for academic excellence in training teachers of music. For information about undergraduate courses available, students’ life, and how to contact them, please see the Faculty of Music education. 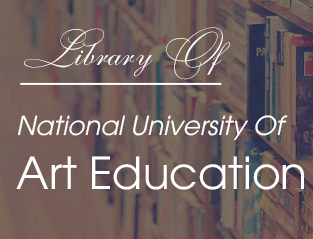 NUAE is accessible to all students of talent and ability of fine arts, whatever their background. For further details please read more about and contact with Faculty of Fine Arts Education. NUAE is one of the few universities in the Vietnam that trains professional managers of culture as well as fashion designers. For more information , please see the page Faculty of Art- culture management and contact them. NUAE is accessible to all students of talent and ability, whatever their background. The numerous training programs ensures that learners who wants to apply to NUAE may have chances to study. For further details please read more about Faculty for part-time study.